Rose Ann Luna, 77, passed away on August 25, 2018. She was born on February 15, 1941 to the union of Adonias and Martha Pineda who both precede her in death, along with sisters, Beatrice Ramos and Elaine Ortega. Rose enjoyed Bingo, crossword puzzles and having a cold one. 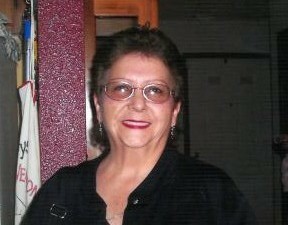 She loved to watch football and was a true Bronco fan She loved her novelas and Mexican music. Above all she loved spending time with her family. She is survived by her husband, Ignacio Hernandez; daughters, Lisa Grzenia ad Rhonda (Steve) White; sisters, Jessie (James) Martinez and Sally (Jose) Martinez; grandchildren, Kayla and Malia White. Memorial Mass 10 a.m Friday September 7, 2018 at St. Francis Xavier Catholic Church. Family will receive friends at Church Hall following service.